High Definition Audio, also known as HD Audio, is an audio standard created by Intel to be used on their chipsets, i.e. it is a standard for high-quality on-board audio. 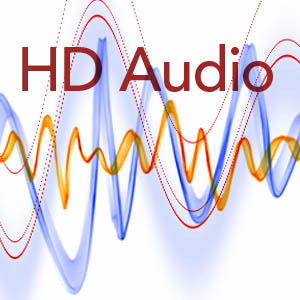 HD Audio was designed to replace the Audio Codec 97 (AC&apos;97) standard that Intel released in 1997. The main achievement of the AC&apos;97 specification was the audio quality improvement in popular sound cards by complete separation of analog and digital sections, and the raise in maximum playback sample frequency up to 48 kHz for compatibility with the audio format in DVD-Video. With the success of DVD movies encoded with Dolby Digital and DTS multi-channel audio formats, consumers had become accustomed to listening in full surround sound with anywhere from six to eight speakers. The AC&apos;97 technology struggled to keep pace with advancements. Finally after AC&apos;97 v2.3 Intel switched over to the HD Audio standard. Intel HD Audio delivers significant improvements over previous generation integrated audio and sound cards. Intel HD Audio hardware is capable of delivering the support and sound quality for up to eight channels at 192 kHz/32-bit quality, while the AC&apos;97 specification could only support six channels at 48 kHz/20-bit. HD Audio is also designed to prevent the occasional glitches or pops that other audio solutions can have by providing dedicated system bandwidth for critical audio functions. All Intel chipsets based on PCI Express bus such as the 955x, 945g and 945p Express chipsets are designed to support HD Audio. The HD audio standard enables multi-streaming i.e. it allows consumers to play back two different audio tracks simultaneously. The Intel HD Audio standard also enables enhanced voice capture through the use of array microphones, giving users more accurate speech input. While other audio implementations have limited support for simple array microphones, HD Audio supports larger array microphones. It also supports Jack Retasking wherein the computer is able to configure the jack depending on the device connected. 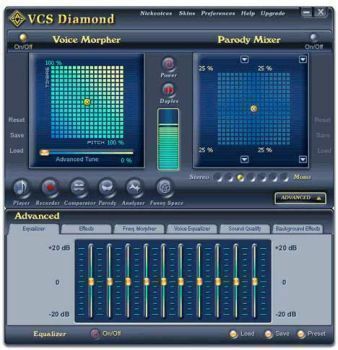 For example if a speaker is plugged into a microphone jack, the computer simply reconfigures the jack to work as a speaker jack. Dolby Sound Room: This is targeted at entry level users and supports 2-channel 5.1 audio using only 2 speakers. It has a signal-to-noise ratio (SNR) of at least 75 dB. Dolby Master Studio: This is targeted at high level users and supports 8-channel 7.1 audio with a signal-to-noise ratio of at leas 95. This also supports music transfer through wireless LAN. High Definition means literally just that: the higher capability to cater for more definition in the sound wave coming out of the speakers or headphone. 96kHz is better than 48kHz if your audio system can handle it(think of printing a 10 mega pixel photo with a vintage 1995 printer). Of course it is not double the definition. It will only sound slightly better depending on whose ears. And you cannot go on doubling. 384kHz will probably not make much of a difference compared to 192kHz. 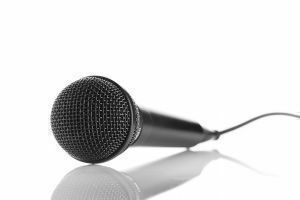 HD might be commonly used to refer to video, but language is flexible and it is easy to think of higher audio fidelity as “high definition” audio simply because it is easier to discern specific audio details just as it is easier to discern specific video details. About digital TV I’m not sure what scam you’re referring to. Of course digital TV doesn’t mean you’re watching ones and zeros on the screen. Same is with computers after all. What our eyes see is always “analog”. “Digital” refers to the way it is transmitted and reproduced which does have relevant differences from TVs without digital capability. It is also quite possible to notice the difference between a picture reproduced by digital tech, and one by analog. Digital TVs seem to have more of an “all or nothing” reception. Either it’s very good (on lower reception signal than is necessary for analog I believe) or it’s not really watchable. Artefacts are also quite different when they appear. I am with you. This termonolgy that butchers the meanings of the words and phrases drives me crazy. 186 queries in 0.445 seconds.